This article will go over the Companies by Sales Rep Report. 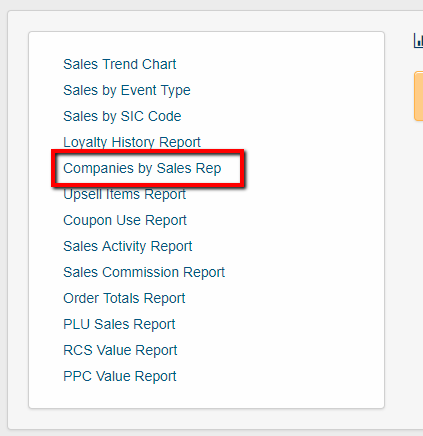 This report will show the Company Name - Company Email - Gross Sales - Net Sales - Total Commission (% of net) - Totals for Unassigned Sales Reps and Assigned Sales Reps.
2 - Next click on the Companies by Sales Rep link. 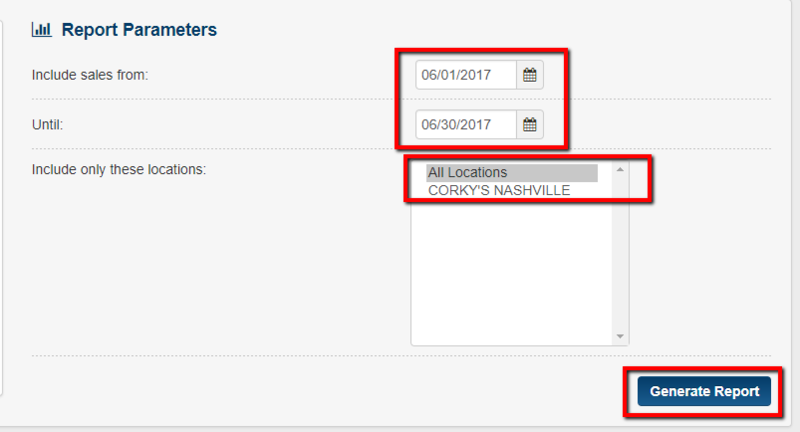 3 - Then choose the Date Range and the Location you want to look up. 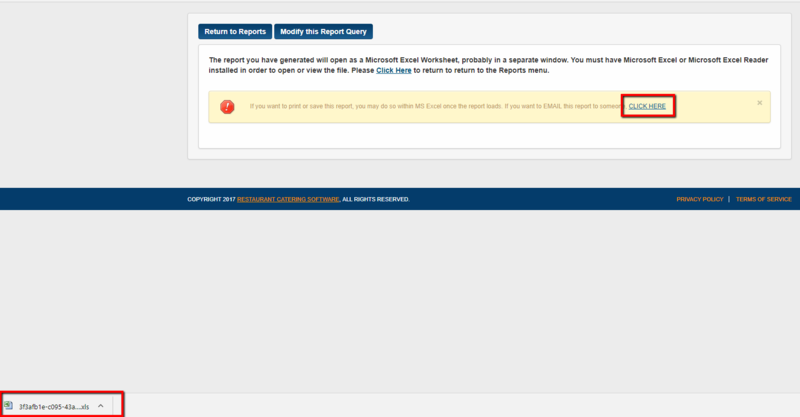 Once you are done click on the Generate Report tab. 4 - The report will then Download. Note you can have the report Emailed by clicking on the Click Here link. 5- Report will now appear. 6 - Note the Sales Rep will be highlighted in Grey. 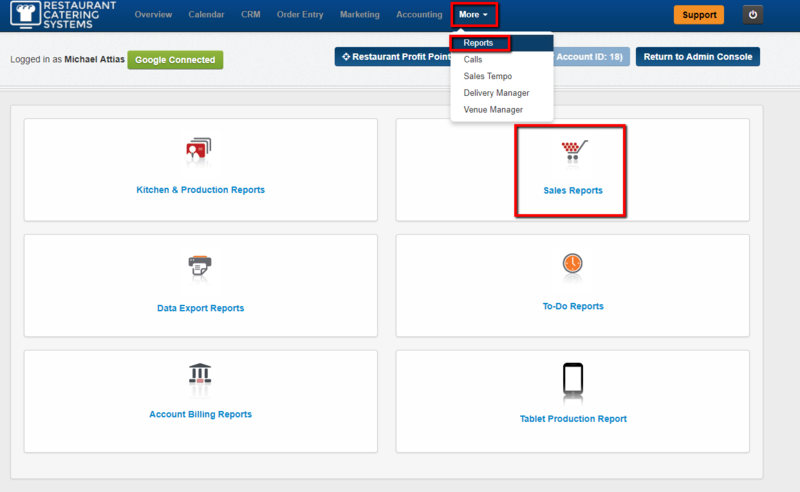 Companies not assigned to a sales rep will appear under the Unassigned Companies section. You have now learned how to use the Companies by Sales Rep report.